In 2018, many churches do not own hymnals, and there are a vast number of congregational hymns being written continually. 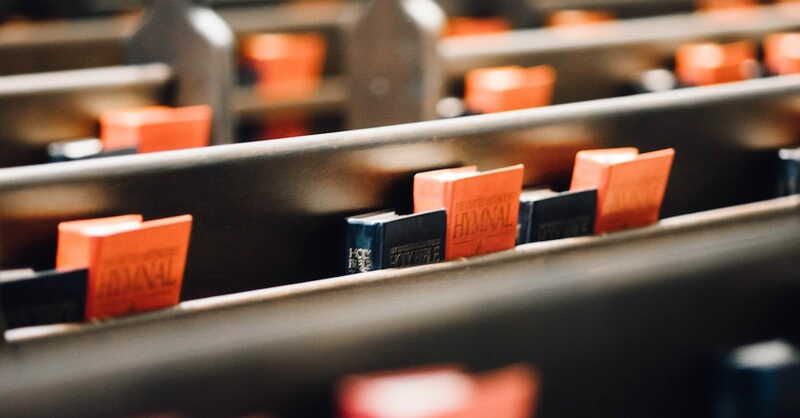 For many years, denominations and printing companies chose leaders within the fields of hymnology and theology with the purpose of selecting and producing hymns for the church to sing. Today, the pastor, worship pastor, or lay leader serves the church in this capacity, as he or she seeks to choose hymns weekly that will form their churches “hymnal” and ultimately lead people in worship of God. Choosing hymns for the church to sing should never be done flippantly. The weight of this task should always be felt, and seeking to choose hymns that honor our God must be the goal. How, then, should a pastor, worship pastor, or lay leader choose hymns for his or her local congregation to sing regularly? I am an advocate for choosing old hymns and new hymns for my church to sing. The date stamped upon a hymn should not advocate for its being sung or not sung. There are factors, however, that are helpful to inform intentional choices of hymns that will honor God and be good for His people, allowing them to praise Him by singing. The measuring rod that I use to help inform my intentional choice of hymns to be sung comes from an early leader within the church, St. Augustine. St. Augustine, in his writing and teaching, gave definition to a hymn. Within his definition, he set three parameters that must be true in order to have a hymn, and I believe that these parameters are still good for the church today, especially as leaders seek to decide what will be sung to praise almighty God. The three parameters are as follows: It must be a song; it must have praise; and the praise must be of God. Let’s briefly look at each of these ideas. 1. It must be a song. In order for a text to be made a hymn, it must be set to music. Hymns are sung. This idea needs to be developed a bit more, however. In order to do this, let’s ask a question: What makes a song good for congregational singing? The answer to the question is this: The melody should provide an opportunity for the average person coming into worship to be able to sing. If the melody is too difficult, too high or low, or too obscure, the average person will no longer be able to sing, and when this happens, the corporate expression of worship is removed, which is not God-honoring, nor is it healthy for the church. Be sure the hymn—old or new—is able to be sung by the average worshiper. 2. It must have praise. Don’t misunderstand this parameter. This does not mean that every hymn chosen must be upbeat or chipper. Praise can be found in lament. Praise can be found in difficult circumstances and through hard texts. Know your people. What are some very specific ways in which God has worked within your congregation in the last month, 6 months, year, 5 years, etc.? Are there songs that sing about these realities in a true, God-honoring way? We can choose songs that generally praise God, but we can also choose songs that specifically praise Him, too. 3. The praise must be of God. This is the greatest parameter. Every worship pastor and leader must be a theologian. You must know what Scripture says about God and what he desires for His people. If you do not, you can and will lead your people to praise God falsely. We must choose texts to be sung that glorify Him through truth. Great music will never nullify or a change an untrue text. Ask these questions of the text: Is it biblical? Is God the subject? Is it Christological? Is it of the Holy Spirit? These questions will help you choose songs that most glorify God. The task of developing the church’s hymnal has been given to the worship pastor or leader. Choose wisely, so that God will be glorified and His people will be edified as we sing the songs we have chosen each and every Sunday. Soli Deo gloria!